The Best Tablet Laptops Available Today – What Is Best for You? 2016 – The Year of VR or The Year of Crushed Dreams? 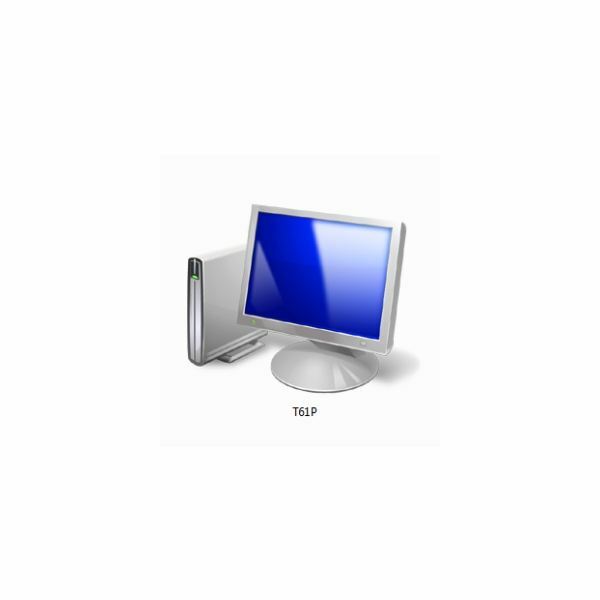 The objective of this article is to set up a simplified home network using a mix of a Vista desktop PC, a laptop running Windows 7, and a laptop running Windows XP. Defining features of this network will be the lack of network passwords for local connections (both wirelessly or wired) and no single “boss" computer. Devices on the network will act as peers – no computer will rely on another computer to be present on the network – in order to reach the Internet, but it won’t be an ad-hoc network. File and folder sharing, of course, will depend on other computers being present, but we’ll look at specifying what folders we’ll share with others and these we will share and share alike. The most boss-like object in the network is the wireless router. For our purposes, we’ll presuppose that each computer can connect to the router. In our test network, the Vista desktop computer has the wired connection to the router and was used to set the router up. It’s very important that the router is not left at defaults and is set up properly because the security of the simplified network is based on the router and on having both a strong network password and an encrypted connection. By strong password, we mean a mix of letters and numbers that can’t be guessed or easily “cracked" by brute force. Your router setup program may suggest a pseudo-random password based on the encryption you selected. This is very safe to use. By encryption, we mean Wi-Fi Protected Access, or WPA-PSK. The “PSK" part stands for “pre-shared key," which is that secure password. Since setup varies and you’ll need to use the documentation for your router to perform it, we’ll only briefly touch further on this. You want to set it to broadcast your network name or service set identifier (SSID). You’ll want to make sure that each computer on the network can reach the Internet. A somewhat common problem you may encounter is that a PC can connect wirelessly to the router and seems to be passing some data when you view “Status" for the device, but the web browser can’t reach any web pages. This can mean that the computer was set up by default for wireless networking (with Microsoft networks, of course), but not for Internet access. It is, however, easy to fix. Windows XP: Start → Connect To → Show All Connections. Select the “Wireless Network Connection" by right-clicking it and selecting “Properties." Under the General tab, in the main window, you’ll see “This connection uses the following items." Scroll down to see if “Internet Protocol (TCP/IP)" is in the list. If it is not, click the “Install" button and then “Protocol." You’ll see “Internet Protocol TCP/IP" in the list and can highlight it and click OK to add it. (If you see “Microsoft TCP/IP version 6" in the list, it’s fine to add it as well.) Back in the Properties dialog, scroll down and find “Internet Protocol (TCP/IP)" in the list. Highlight it and then click the “Properties" button. “Obtain an IP address automatically" and “Obtain DNS server address automatically" should both be checked. Click OK to close the dialog, and then, for best results, reboot your PC. When it restarts, connect to the network, and you should able to browse the web. Vista: Start → Network → Network and Sharing Center (or Start → Control Panel → Network and Sharing Center) → Manage Network Connections. Right click “Wireless Network Connection" and proceed as described above for Windows XP. Windows 7: Start → Control Panel → Network and Internet → Network and Sharing Center → Wireless Network Connections. Click on Properties, and then the steps are the same as in Vista and Windows XP. In each case, remember to do the same steps (enable automatic IP and DNS) for Internet Protocol version 6 as well before saving and rebooting. Hopefully, at this point, all the computers will be able to connect to the router and access the Internet. We are ready to start setting up the network. There are only a couple of rules to follow here. The computers on the network must each have unique names and must belong to the same “workgroup." “WORKGROUP," in fact, is often the default name assigned by Windows. However, we want to use a more unique group name of our own. This is very useful if you’ve had previous networks running on some of the computers. A different group name tells Windows to release some of its preconceived notions about the network setup, and this is an important part of creating the simplified network. To change the computer name and group name in Windows XP, right-click “My Computer" and select “Properties." In the “Computer Name" tab, click the “Change" button. Enter a unique computer name, if the computer does not already have one, and then enter the new workgroup name. When you click OK, Windows will welcome you to the group and advise you to reboot the PC. To change the computer name and group name in Vista and Windows 7, right-click “Computer" and select “Properties." Expand the dialog downward if necessary and find “Computer name:" At far right, click “Change settings." In the System Properties dialog under “Computer name," click the “Change" button. Enter your unique computer network name (or keep the old one, as long as it's unique), enter the same group name you used previously, and leave “Domain" blank. Click OK, and Windows will welcome you to the group and ask for a restart. And that’s it – the basics of setting up our network. At this point, all the computers are in the same workgroup and will recognize each other. Each will be able to connect to the router and surf the net. Each will be able to access already-existing shared and “public" folders on other devices on the network. Now it’s time for some refinements. That’s the next consideration – what do we want to share with each computer on the network? Remember that this is share and share alike. We’re not going to get into password-protected folders or go crazy with permissions or settings. So instead, go to Start → type in “View network status and tasks” then click on the option. This will open the Network and Sharing Center page. On the left, click “Change advanced sharing settings." 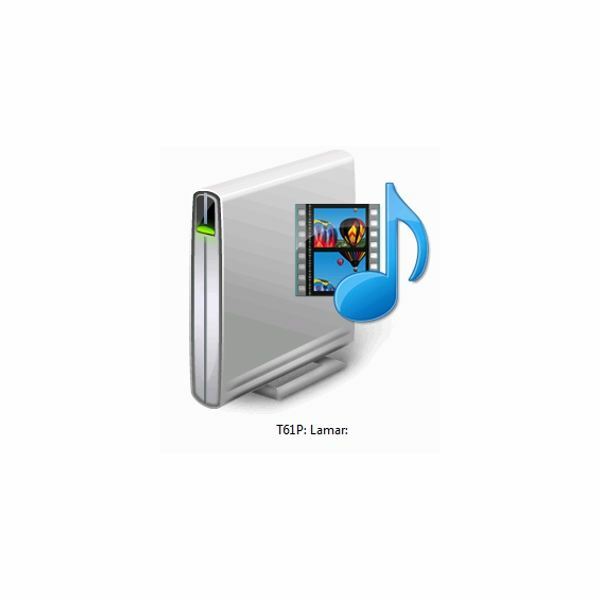 Next, do you have MP3s or iTunes music on the Windows 7 PC that you want to share on the network? If so, click “Media streaming" and then make sure media streaming is on. You probably don’t want to select “Prevent my PC from sleeping…" if this is a notebook. Since our network acts like an ad-hoc or peer-to-peer network, even though it’s really not, other users and devices will learn that what is shared may come and go. Then select “Turn off password protected sharing." Under “Windows HomeGroup connections," select “Use user accounts and passwords to connect to other computers." This effectively turns off Windows 7’s automatic handling of the network settings. Click “Save changes" when you’re finished. At this point, other users will be able to access the shared media on the Windows 7 machine. Let’s set up sharing on the Public folder. Double-click “Computer" and navigate to Local Disk (C:) → Users. Right-click the Public folder and select Share with → Specific people… Under “Type a name," enter “Everyone." Everyone is the magic word that makes a Public folder available to other computers on the network who are not running Windows 7. Then click “Add." Everyone will then appear in the list. Do you want other users to be able to put files in your Public folder? If so, you will need to give Everyone “Write" permission. Click the down-arrow beside “Write" and choose “Read/Write." Then click “Share." At this point I recommend that you reboot the computer and allow it to restart and reestablish network communications before you try to access files and folders on the Windows 7 PC. If you’re not seeing the same steps and labels I’ve described in your version of Windows 7, check with Windows Help to see what’s changed. And this is what success looks like. Here’s the view from the Vista desktop when Start → Network is selected and the Windows 7 computer’s icon is clicked. By the way, to get “Network" on the Windows 7 Start Menu, right-click the Windows Start button and select Properties → Customize. Scroll down and check “Network" and click OK twice. Setting up shared folders in Vista is easier than setting up shared folders in a workgroup for Windows 7. Most of what you need is in Start → Control Panel → Network and Sharing Center. You’ll notice that under “Network discovery," it says “Custom." This is the result of our having set up the workgroup. You shouldn’t need to change this. File sharing, Public folder sharing, Printer sharing, and Media sharing should all be turned on. Password protected sharing should be turned off. At the bottom of the page are useful links that offer to show you all the files and folders that the Vista PC is sharing, as well as a list of shared network folders on the PC, which is where the printer will show up if you chose to share it. What about sharing individual folders? Let’s step through an example. I wished to share a folder called “BrightHub" on my Vista desktop with all other devices in my workgroup on the network. I right-clicked the folder and selected “Properties." Under the “Sharing" tab, I clicked “Advanced Sharing" and checked “Share this Folder." I changed the number of simultaneous users to three (including the desktop in the count), and then I clicked “Permissions." In the “Permissions for BrightHub" dialog, I saw the magic “Everyone" user and checked “Full Control" under “Allow." Then I clicked OK twice. At this point, I took note of the Network Path. It was “\\PC2007\BrightHub" and that was where I would look for it from other computers on the network. And that’s it for sharing folders and files on the Vista desktop. It’s time to bring the XP Pro notebook into the network. Windows XP was originally touted as having “Simple File Sharing," and that’s still true. If you haven’t upgraded to Windows XP Service Pack 3 or previously networked the XP computer with a Vista PC, you’ll need to download and install the “Linked Layer Topology Discovery Responder" that lets Vista computers “see" XP boxes and include them in the network map under Start → Networks. Although not strictly required for networking, it certainly makes a convenient point to open folders from in Vista and Windows 7. You can find out if LLTD is running on your Windows XP PC by going to Start → Control Panel → Network Connections. Look at the list of items used by the Wireless Network Connection. If you see “Link-Layer Topology Discovery Responder," you’re good to go. If you don’t, you have two choices. You can upgrade to Service Pack 3 using Windows Update, or you can install the older version of LLTD. If you find that LLTD is installed and still cannot connect to the workgroup, the next thing to look at is your firewall. This will vary based on which firewall you’re using, of course, but if you are using the default Windows Firewall, check to see if file and printer sharing is allowed. Go to Start → Control Panel → Windows Firewall. Then click the “Exceptions" tab. Do you see “File and printer sharing" in the list, and is it checked? If it’s not there, click “Add Program" and select it. Make sure it’s checked before clicking OK. Then try connecting again. Hopefully, your XP box is on the network by this point and visible in Start → Network in Vista and Windows 7. Now let’s set up one or more folders to share on the network. As an example, let’s set the iTunes folder on the Windows XP laptop to be shared with the other computers. Click Start and select “My Music." Right-click the iTunes icon, and select “Sharing and Security…" Un-check “Make this folder private" if it’s selected, and then check “Share this folder on the network." Since we don’t need other family members modifying our music files, leave “Allow network users to change my files" un-checked. Then click OK.
And here’s the folder from the XP machine showing up on the Vista machine. Vista and Windows 7 have the option of connecting as soon as the notebook moves into range of a wireless network. This is very handy if the machine travels with you. Of course, you don’t leave the Wi-Fi radio on all the time on a laptop, but Vista and Windows 7 are both smart enough to automatically check and see if you’re at home when you turn on Wi-Fi. To enable this, in both Vista and Windows 7, go to Start → Network and click on “Network and Sharing Center." On the left, click on “Manage wireless networks." This will give you a list of the wireless networks that Windows knows about. The networks are shown in the order in which Windows tries to connect. You can drag a network up or down in the list. To make your laptop connect automatically, right-click the network name and select “Properties." Check “Connect automatically when the network is in range" and then click OK.
And there you have it – the simplest home network you can create in a mixed environment of Windows Vista, Windows XP, and Windows 7 computers. Specified folders on each device are shared and shared alike, and the folders shared are determined by you. It’s perfectly safe to shut down all the computers in the network because there’s no “boss" computer that has to act as the gateway. There are no passwords (other than that of the wireless modem) to distribute and possibly misplace. Security is even good because the router has a strong, un-guessable password that acts as a network password for the users, too. Even communications flying through the ether are secure because we specified strong encryption. This is by no means anything that approaches enterprise-level security, but IT security is based on keeping people out of what they shouldn’t access. Our simplified network is all about giving all the users access to the folders that need to be shared, and shared alike. I hope this has helped you set up your mixed-environment simplified home network. Thank you for reading this article, and thank you for coming to Bright Hub.